The legal team at Corsiglia, McMahon & Allard, LLP, works hard to obtain the fair and just compensation that you deserve. Our trucking accident law firm has successfully litigated more than a dozen cases against trucking companies resulting in verdicts and settlements of more than $100 million while helping those left harmed or without a loved one in a position to better heal from their loss. We have represented numerous families who have lost loved ones due to the dangerous condition of highways along with the negligence of truck drivers, trucking companies, and truck manufacturers. As proud as we are of the financial compensation that we get for our injured clients, we are just as proud of the fact that our highways and roadways are safer for motorists after we get done with a case. Our skilled trial attorneys do so by helping truck accident victims recover full compensation for their injuries and by pushing for new laws and regulations that increase safety standards for the trucking industry. Making Highway 17 Safer for Motorists. 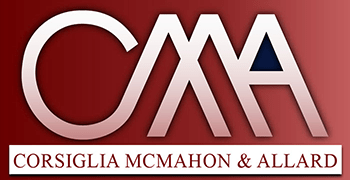 In securing a $9.5 million wrongful death settlement for the family of the victim of a big rig truck accident on Highway 17, the law firm of Corsiglia McMahon & Allard also worked to protect the safety of all motorists. The settlement ensures that the owner of the trucking company will go to jail if he does not obey trucking laws. In addition, we continue to push for state legislation that will require all truck drivers to receive mandatory behind the wheel training before becoming licensed. It is impossible to put a price on roadway safety. Money, however, is sometimes the only way to get the attention of transport companies and owner-operators. We have gained a formidable reputation in the insurance and trucking industries -- they know we aren’t afraid to go to trial, and won’t stop fighting until we secure fair and just compensation for our clients. It is important to understand that many trucking companies have their own accident response teams that are dispatched immediately to the accident scene. These accident response teams start their own investigation, collect evidence, and start developing a defense with well-financed law firms against your truck injury accident claim. 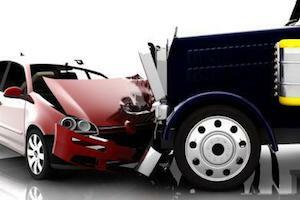 At Corsiglia, McMahon & Allard, LLP, we take a two-pronged approach to truck accident cases. First, we focus on our clients and on protecting their rights to maximum compensation. This includes fighting aggressively against insurance and trucking companies, obtaining valuable black box data and evidence, and employing a full team of accident re-constructionists, industry experts, lawyers, and support staff to take the case to trial if necessary. Our primary goal is helping accident victims receive the compensation they deserve after a devastating and catastrophic trucking accident. Secondly, we use our financial resources to fight for change within the trucking industry. We use financial and legal incentives to encourage California trucking companies and drivers to improve their standards and safety protocols. We know that in doing so, we can protect even more drivers from harm and devastation. or any other California roadway, contact one of our experienced attorneys right away. Trucking accidents are often severe and can cause lifelong pain and suffering, as well as permanent disability. As such, you need an experienced and aggressive law firm on your side that has the knowledge and resources to tackle these large and complex cases. At Corsiglia, McMahon & Allard, LLP, our San Jose trucking accident litigation attorneys are ready to fight for you from the moment you are injured. To learn more about how we can assist you after a trucking accident, call us at 408-289-1417 to schedule a free consultation. One of our attorneys will meet with you personally to discuss your accident. Together, we can help you choose the legal option that is best for you and your family. We will represent truck injury accident victims in San Jose, Santa Clara County, the San Francisco Bay Area or anywhere in California.